Students at more than 200 high schools and colleges across America are preparing to take part in YAF’s 9/11: Never Forget Project—the largest nationwide campus activism project in the country. 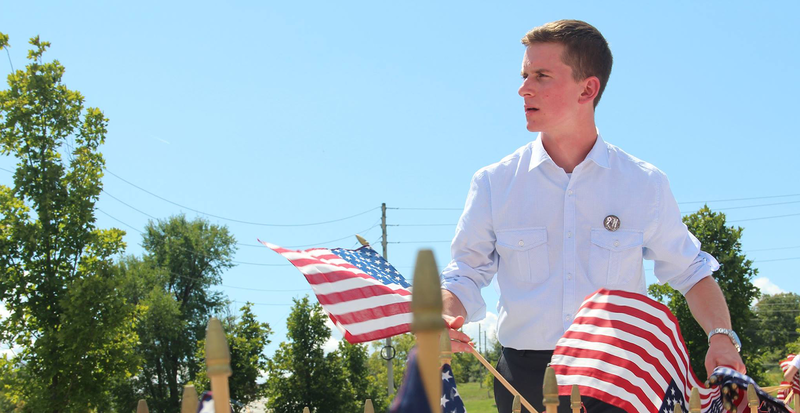 Started in 2003 as a way to push back against the Left’s attempts to forget the victims of 9/11 and turn the anniversary into a revisionist, politically-correct observance, YAF’s 9/11: Never Forget Project has grown substantially. Since its inception, more than 10.4 million American flags have been placed in memorials as part of the iconic displays which bring students and communities together to commemorate the 2,977 innocent lives taken by radical Islamic terrorists. For additional information on YAF’s 9/11: Never Forget Project or to request an interview, contact Spencer Brown via phone (800-872-1776) or email (sbrown@yaf.org). Blaney on Brexit: What The Hell Has Happened? !